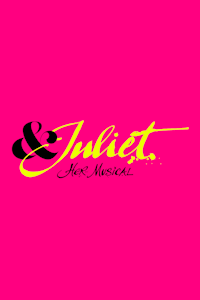 & Juliet tickets at Shaftesbury Theatre, London. 2019. Find the best & Juliet musical tickets at Shaftesbury Theatre, West End. Telling the tale of two young star-crossed lovers, whose untimely deaths ultimately reconcile their feuding families, it's one of the Bard's most revered works. But now, this musical explores what would happen if Juliet didn't die at the end of the play - if her famous ending was really just her beginning. In this sequel to Romeo & Juliet, Juliet gets over her supposed soul mate by running off to Paris with her best mates on a whirlwind trip of self-discovery. Performers Mariam-Teak Lee, Oliver Tompsett, Cassidy Janson, Melanie La Barrie, Jocasta Almgill, Josh Baker, Alishia Blake, Rhian Duncan, Ivan De Freitas, Danielle Fiamanya, Jordan Luke Gage, Kieran Lai, Nathan Lorainey-Dineen, Arun Blair-Mangat, Tim Mahendran, Jaye Marshall, Grace Mouat, Antoine Murray-Straughan, Kerri Norville, Christopher Parkinson, Dillon Scott-Lewis, Kirstie Skivington, Alex Tranter. Music Max Martin. Book by David West Read. Presented by Max Martin. Presented by Tim Headington. Producer Max Martin. Producer Tim Headington. Producer Theresa Steele. Producer Jenny Petersson. Producer Martin Dodd. Director Luke Sheppard. Dramaturg David West Read. Choreographer Jennifer Weber. Design Soutra Gilmour. Costume Paloma Young. Lighting Howard Hudson. Sound Gareth Owen. From Saturday, 2nd November 2019. Open 20th Nov 19. Terms: Valid on all performances from 2-19 Nov 2019..
& Juliet tickets: The tabs above allow you to select between links to suppliers and date searching. Click on a supplier's logo to see their details and on the 'buy now' button to see and check the tickets on offer.